The Newport Beach Marriott Bayview is located overlooking the beautiful Back Bay of Newport Beach. "Great Staff from room to restaurant service, selection options, asking if they could run our boardin"
Hotel exterior, grounds, landscape were in good shape. service to help het our luggage into our room and back out was great. Food service was fast and people were professional and happy, which motivated me to tip 20%. Room was good and comfortable. Thank You Joe Conetto. 23-Nov-2018 Verified Review, stayed from Sat Nov 17 to Sun Nov 18 2018 at a $118.76 average nightly rate. "Excellent choice for the price." They were very polite, well staffed, helpful and the room was fantastic! Their breakfast option was delicious and I would be more than happy to stay again. 30-Oct-2018 Verified Review, stayed from Sat Oct 27 to Sun Oct 28 2018 at a $127.00 average nightly rate. A sanctuary of quiet comfort... the Newport Beach Marriott Bayview, formerly the Newport Beach Marriott Suites, is nestled overlooking the Upper Back Bay. The hotel offers 254 spacious suites, well designed with a living room including wet bar, mini refrigerator, high speed internet access and an oversized marble bathroom. French doors separate the bedroom and second television, allowing for a spacious yet private feeling. Enjoy our new Revive Bedding Collection for a good night's rest. Beautiful Gazebo location for events up to 120 guests including flexible conference rooms. Stay productive with iBahn wireless services in all public spaces. Relax and unwind at the indoor/outdoor pool. Conveniently located to John Wayne Airport, area businesses, world class shopping and pristine beaches, perfect for the business and leisure traveler. 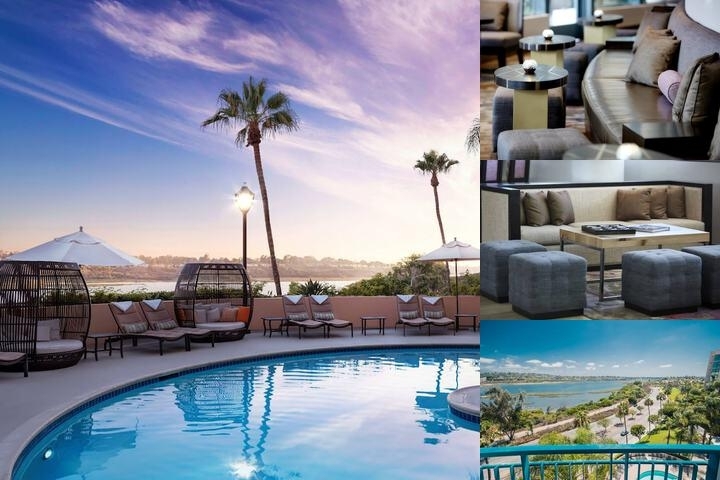 Below are the meeting, banquet, conference and event spaces at Bayview Newport Beach Marriott Suites. Feel free to use the Bayview Newport Beach Marriott Suites meeting space capacities chart below to help in your event planning. Hotel Planner specializes in Newport Beach event planning for sleeping rooms and meeting space for corporate events, weddings, parties, conventions, negotiated rates and trade shows. 26 x 17 x 11 Ft.
23 x 27 x 10 Ft.
24 x 49 x 11 Ft.
22 x 18 x 11 Ft.
24 x 31 x 11 Ft.
69 x 27 x 10 Ft.
50 x 17 x 11 Ft.
23 x 20 x 9 Ft.